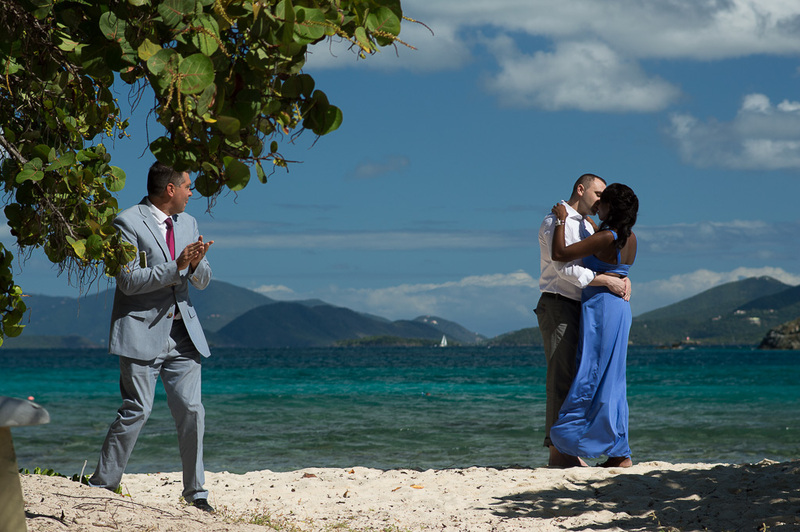 A Wedding At Sapphire Beach – Pretty Klip in St. Thomas, Virgin Islands. Sapphire Beach in St. Thomas is characteristic of most of the beaches on St. Thomas. Unparalleled beauty, soft sand, deep blue water and island views to die for. If you are staying at the Sapphire Beach Resort, the Sapphire Condos or Crystal Cove, then you need only walk out your room and the few steps to the beach where you will get married. If you are coming to St. Thomas on a cruise ship, Sapphire is an ideal beach…and it’s one not offered by the cruise ship wedding planners. 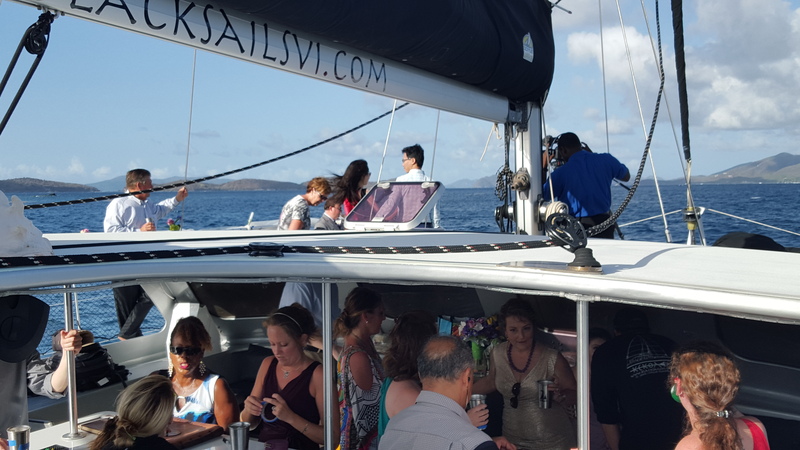 Sapphire is located on the Eastern end of St. Thomas, so if you are staying at a villa or condo nearby, it is convenient and easily accessible. Beach weddings at Sapphire are popular at the water’s edge and nestled between the plentiful sea grape trees growing along the shore. Seriously, that picture is real. The sky and water was ridiculously rich and glowing. And the British Virgin Islands in the background looked like they were painted into the picture. What is unique about Sapphire is that in addition to the beach is a 100 yard jetty on the far right side of the beach. The jetty shoots out of the bay and into the sea with the end surrounded on 3 sides by waves crashing against the rocks below. The jetty is known as Pretty Klip Point. Below is a very, very, very amateurish video I took of a couple at Pretty Klip. Instead of paying attention to my terrible videography skills, check out the views and natural beauty of this wedding location! The breeze coming off the water is constant…and heavenly! The jetty itself is long and flat, acting as almost a natural aisle for you to walk down. There is plenty of room at the point for any size wedding party and any size guest list. I would literally recommend that every couple get married there except for the fact that the jetty is not barefoot friendly. So if you absolutely want to have your toes in the sand for your wedding, Pretty Klip isn’t your best choice. 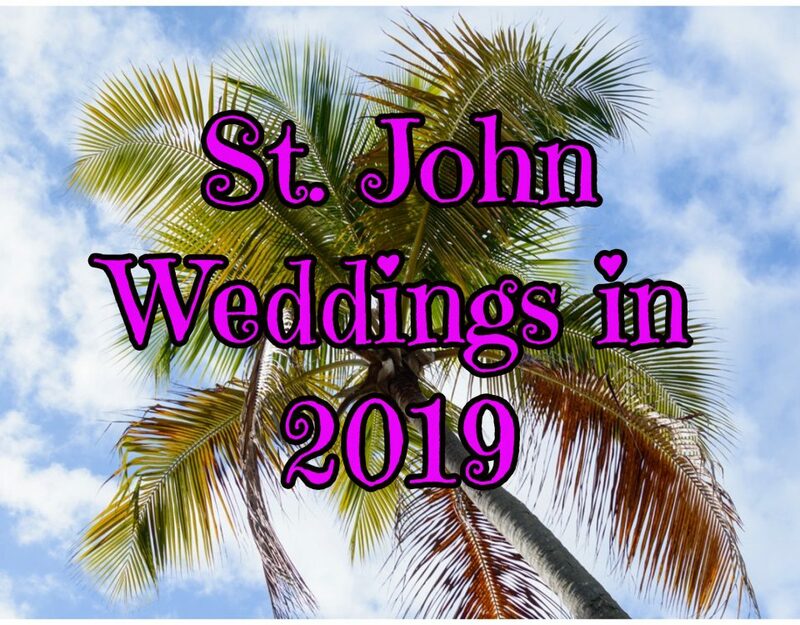 Many of the best beaches in St. Thomas require a site fee (usually $100) to hold a weddding. Neither Sapphire nor Pretty Klip requires a site fee. So that’s a hundred $ more you can spend on flowers, rum punch or a bigger cake. 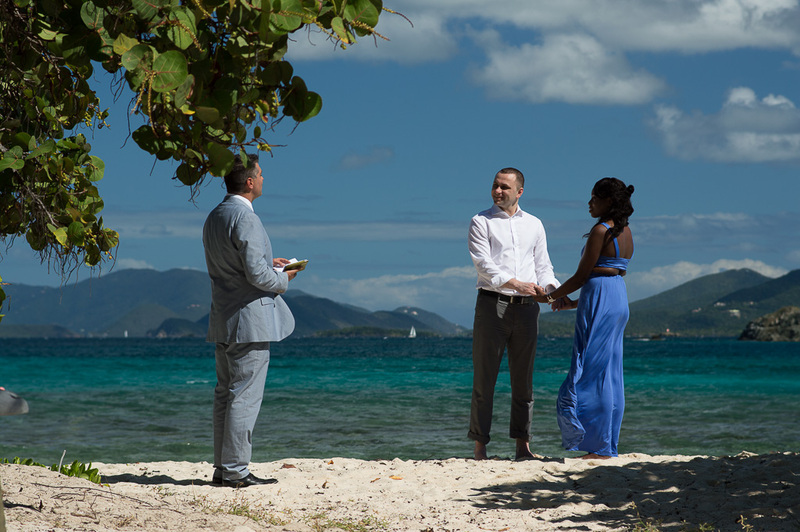 The simplest and cheapest way to get married at Sapphire is to hire me to meet you at the beach to perform your ceremony. I tried to make things easy and stress-free by putting together a few packages that are the most popular with my couples. That being said, you aren’t locked in to the 3 options. If you have something else in mind, I’ll get you the numbers asap. 30 Minutes of Photography (40-50 professional photos). ADD $100 for a Full Hour of Photography (100-120 professional photos). 1 Hour Photography (80-100 professional photos). The beach can get crowded by late morning. There is no true sunset as the sun goes down over the central hills and mountains of St. Thomas. The heat of the late morning and early afternoon can get intense. That being said, a late afternoon wedding, with soft lighting, would be lovely too. But make sure to bring bug spray as the mosquitoes come out around 5pm. If you are getting married on the beach there are no restrictions on when you can get married. There is plenty of space for a wedding or two to happen simultaneously. But, if you love Pretty Klip and have your heart set on it, you will want to reserve the spot. The resort has a calendar for weddings and events on the jetty so as not to have multiple events scheduled for the same time. But please don’t worry, Sapphire is not the busiest beach for weddings, so most likely your wedding date will be available. I have to be honest…I’m not the world’s best wedding planner. I am excellent at arranging for flowers, cake and simple decor. But if you want the full beach wedding experience including a beach reception, you need a dedicated professional. If you want a beach reception at Sapphire you should contact Blue Sky Ceremony. Blue Sky is a wedding planning company that takes you every step of the way along your wedding planning journey. Check out some of her amazing wedding packages. Sapphire Beach has an expansive, flat section of beach perfect for a wedding reception in the sand. The spot can accommodate small groups or a huge guest list of 100+. So, even if you are staying on resort, how amazing would it be to eat, drink and dance under the stars and be only a few steps from your room? If you aren’t staying at Sapphire Beach Resort, the beach is easily accessible (all beaches are public in St. Thomas) and transportation to and from the beach is convenient. And for my money, if you were going to have your wedding reception in the sand, what better menu to serve than beach BBQ! Off the Grid is a BBQ joint at the entrance to the beach that does the best catering this part of the Caribbean Sea. Brisket, ribs, sausage, cole slaw, baked beans. The essentials. I worked with Blue Sky on a recent beach reception catered by Off the Grid and was happier getting a plate of food than I was getting a nice tip from the groom! Traditional plated receptions are also possible. What I like about Sapphire Beach is the amenities available right on the sand. Watersports are king. 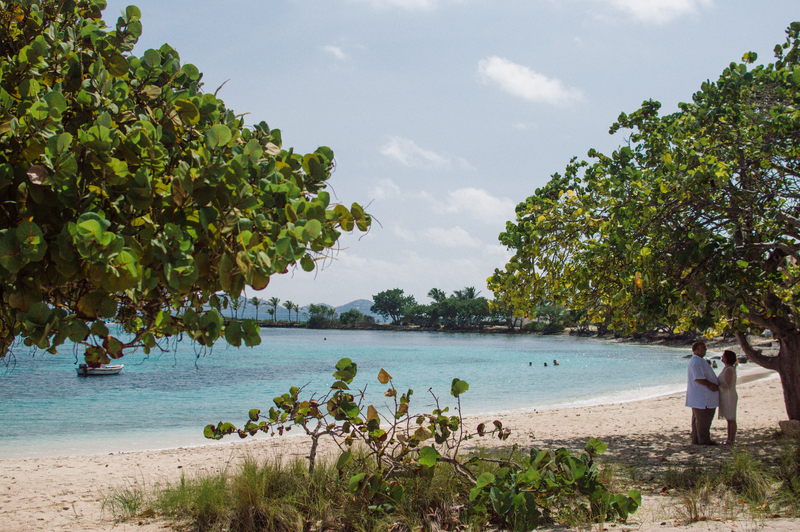 Snorkeling, kite-surfing and kayaking are just a few of the things to do at Sapphire. A volleyball net sits just off the beach and spirited games are always welcome. There is also plenty of space for Bocci ball or corn hole. A marina sits right off the beach with several charter companies ready to whisk you away for a sunset sail or a catered boat reception! 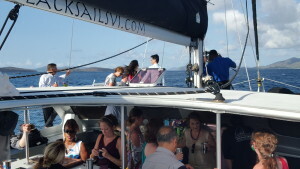 I performed a recent wedding where the entire wedding party climbed aboard the Kekoa for an evening of heavy appetizers, cocktails and dancing. 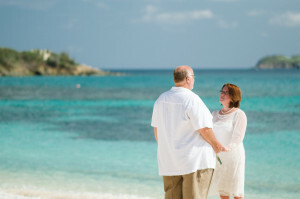 Few beaches offer such convenient access to such a memorable destination wedding experience. And finally, often overlooked by couples planning their beach wedding day, Sapphire has bathrooms and well-appointed concession stands for snacks, drinks and suntan lotion. 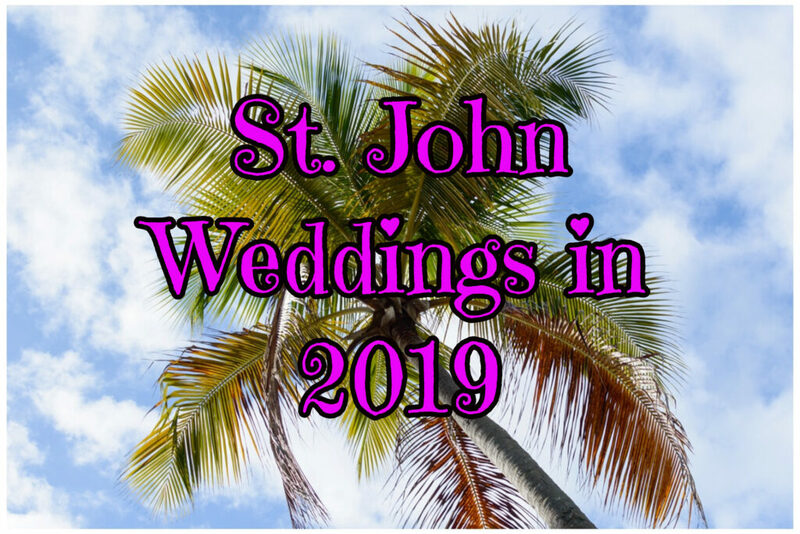 So if you are planning on spending the day on the beach before or after your wedding, there is plenty to keep you busy and make your wedding day exceptional. Several photos courtesy of The MangoWorks (the ones that look good) and my cell phone.